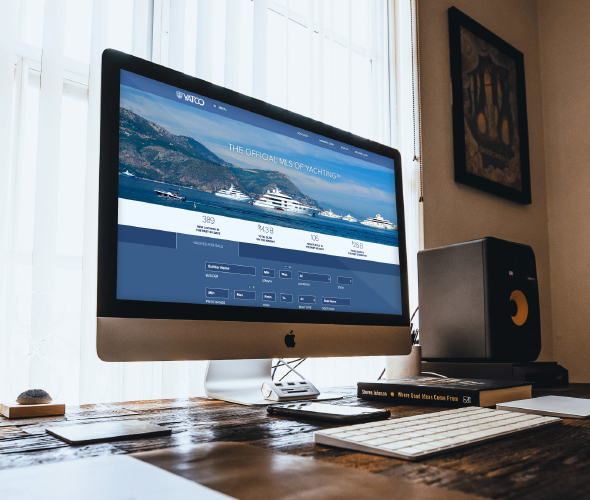 We believe we are uniquely positioned in the yachting community, with an unrivaled family history and an international focus few brokerage houses can match. Working with the right yacht broker gives you the ability to have an industry insider fighting for your best interests. Having peace of mind at the closing table, being protected throughout the delicate steps of the yacht-buying process, and having access to all the right yachting professionals and vendors is only the beginning. Choosing the right yacht representative does make a difference. It's never been more important to strategically advertise listings on the Internet. 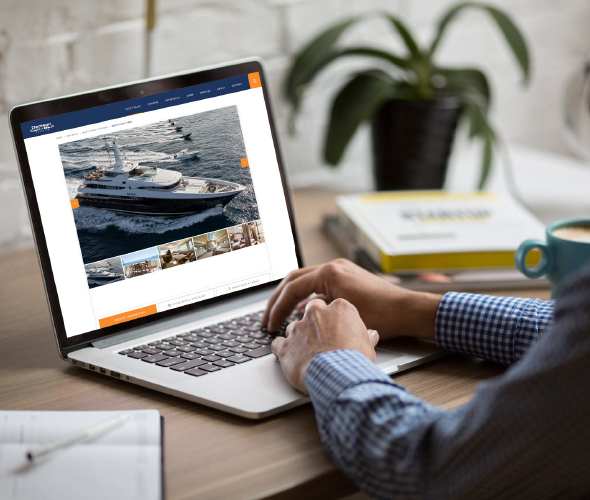 Denison attracts thousands of boat buyers through consistent and aggressive marketing strategies through Search Engine Optimization (SEO), Search Engine Marketing (SEM), and following Google’s best practices. 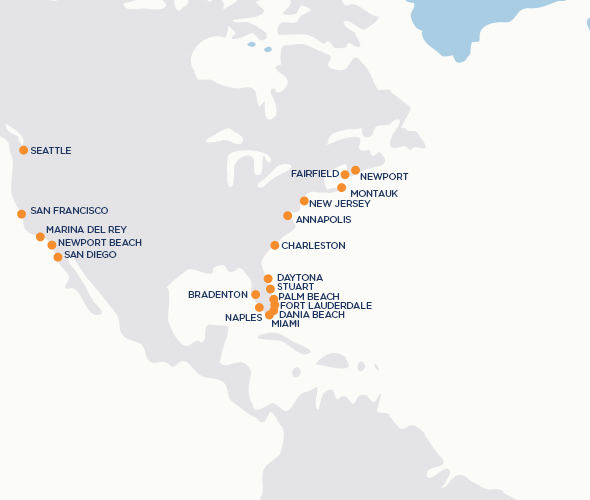 With 21 waterfront offices, Denison is positioned to represent yachting clients personally, on both coasts of the United States, the Caribbean, and anywhere else you need us. Contact Denison for dockage details, too. 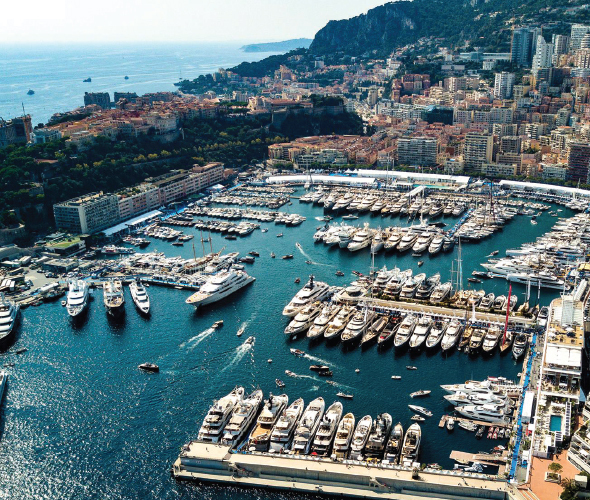 Denison has a significant presence at every major boat show in the world, from Fort Lauderdale to Miami and Monaco, we are there. This year, Denison is scheduled to participate in more than 40 boat shows and yachting events on both coasts of the U.S. 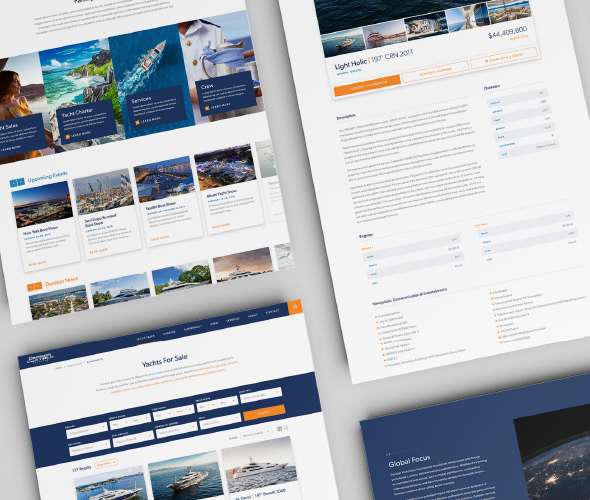 Sponsored searches & featured listings on YachtWorld.com get your yacht sold fast with maximum exposure. 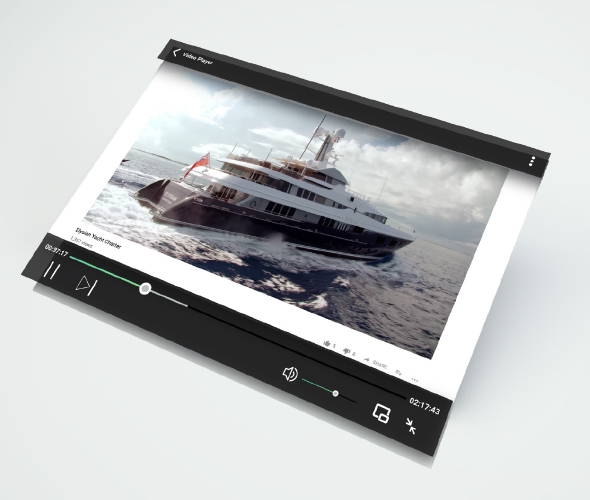 Denison invests in YachtWorld enhancements to get your boat noticed by potential buyers. We also promote yacht listings on 35+ MLS services and advertising sites to get more eyeballs on your boat. As people who often have purchased a boat or yacht personally, our brokers understand what’s important to you, before, during and after the closing of your boat. The vast majority of our brokers are licensed and bonded, and all of them are members of major associations, including IYBA, YBAA and CYBA. While Internet and email marketing have become the greatest source for new leads, print continues to be an important factor. Thousands of boat buyers still browse the back of yachting magazines, exploring the Brokerage Section. 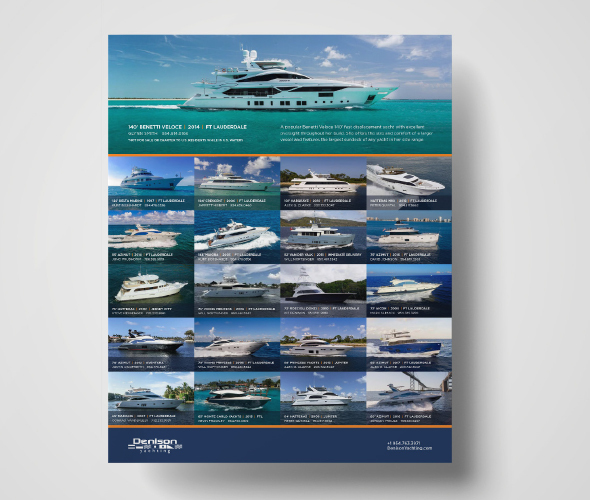 Denison advertises in dozens of publications each year, including Power & Motoryacht, Southern Boating, Yachts International, Boat International and Sea Magazine. 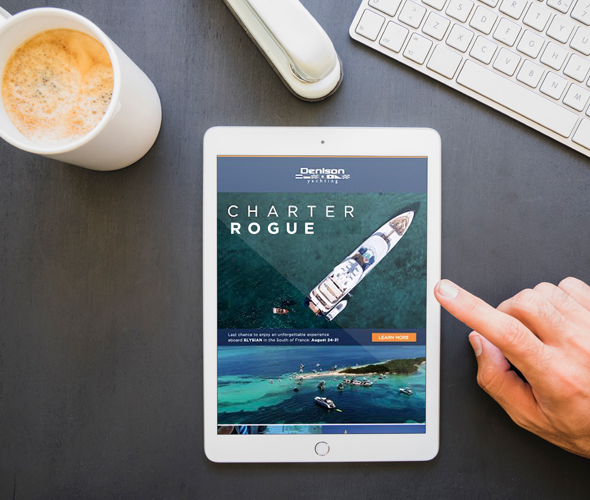 Utilizing a list of more than 150,000 yachting enthusiasts, our digital marketing team promotes listings through a monthly newsletter and weekly broadcasts to the yachting community at large. This year, Denison is on schedule to distribute more than 7,000,000 targeted emails to our growing database of boaters. Sign up here. Denison takes social media seriously. 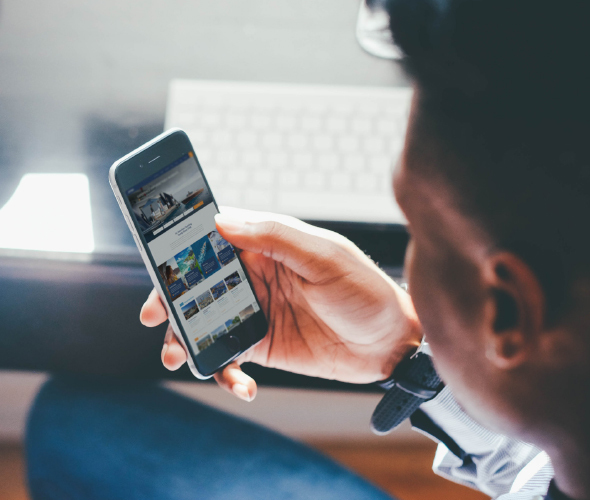 We work hard to be a leader on all the major platforms, including Facebook, Twitter, Instagram and YouTube. Currently Denison is #1 or in the top 3 of popularity on each. This allows us to promote listings to a broader audience and reach boaters online where they are already spending most of their time. Great things don’t happen without great people. 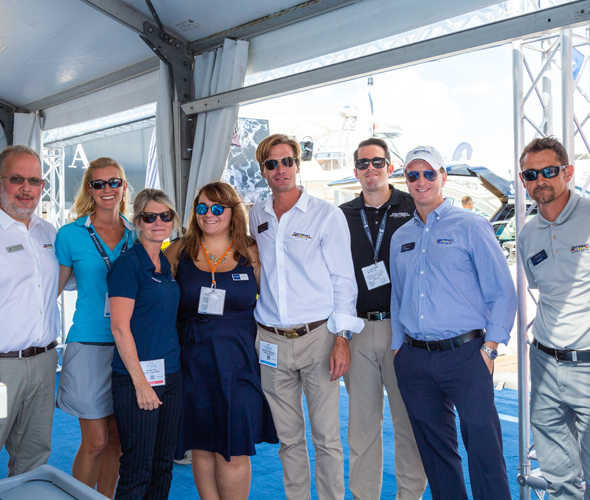 Our marketing success only happens because we have a hard-working team that is committed to being the best in yachting. We believe this happens by consistently doing simple things: working hard, doing what is promised, and being honest. help market your boat better. The Valid Email is Required.